Home HealthConditions and Diseases Most Dangerous Foods We Eat! You would be surprised to know that the “tasty and scrumptious” foods we eat can prove to be dangerous and fatal too in certain circumstances. While most of the foods we consume are safe, there are a few foods that can prove to be potentially dangerous and even fatal at times if not cleaned, cooked or stored in a certain way. Understanding this helps us practice safe eating habits. In Japan, there was an incident recently where blow fish testicles prepared by an unauthorized chef made diners ill and they developed limb paralysis and breathing problems, and had to be hospitalized. The owner of the restaurant did not have the license to serve Blowfish, which is extremely poisonous if not prepared properly. Fugu is considered a delicacy in Japan and Hong Kong. According to a Health Association in Japan, Blowfish poison, called tetrodotoxin is about 1,200 times more poisonous than potassium cyanide. It has the capacity to cause death within one hour after eating. Statistics reveal that more than 100 people die of Fugu poisoning each year. 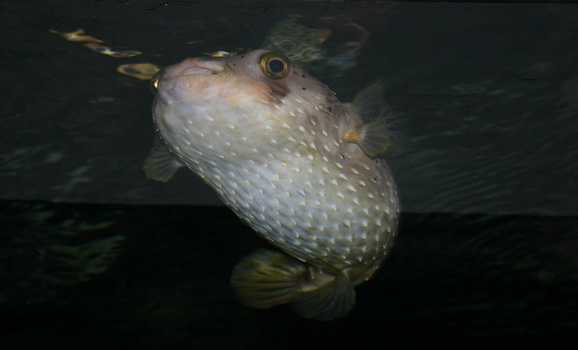 The most poisonous parts of Fugu are the muscles, liver, ovaries and the skin. The chefs need to have a special licence to prepare Blowfish and getting the licence is a long process, and after the training, the chef has to prepare a Fugu meal and eat it himself. So, the next time you are in Japan, you know which food you should not be tempted to try. All mulluscan shellfish including mussels, oysters, mussels, clams, scallops and geoduck can be poisonous. 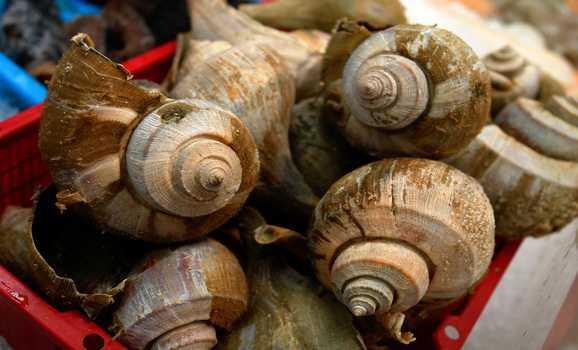 Gastropods, moon snails and sea cucumbers can also be toxic. However, crabmeat does not contain toxins but the guts of a crab do and they need to be discarded and the crab cleaned thoroughly before cooking. Eating shellfish contaminated with algae that contains dangerous toxins can cause an illness called paralytic shellfish poisoning (PSP). The shellfish can accumulate high levels of toxins including domoic acid, produced by this microscopic algae. Even cooking does not always remove the toxins. Early symptoms of this illness can include tingling of the tongue and the lips, which may at times begin immediately after eating poisonous shellfish or within a couple of hours. Depending on the amount of toxin that is ingested, the person may have tingling of the fingers and toes and then lose control of the legs and arms, followed by breathing problems. If the poison consumed is a lot, then the chest muscles and abdomen become paralyzed and can result in death within two hours. We all know that some varieties of mushrooms are poisonous and can cause death. Mushroom poisoning is also known as “mycetism.” Death Cap is one such mushroom variety which contains toxins that can cause death on the first bite. The Deadly Webcaps and Destroying Angels are also poisonous. The problem with mushrooms is that, many a time, the wild poisonous mushrooms are misidentified as an edible variety; the Gyomitra is confused with the Morrel and the Death Cap is confused with the Paddy Straw. There have been cases of experienced mushroom gatherers poisoned by eating toxic species. Symptoms of mycetism can be anything from slight gastrointestinal discomfort to death. Rhubarb contains oxalate which is known to cause poisoning when large quantities are consumed; either raw or cooked. The leaves contain higher concentrations of oxalate and that is the reason most recipes use the stem and not the leaves. Another toxic agent is anthraquinone glycosides that is present. It is said that during World War 1, Rhubarb leaves were used to compensate for the lack of other vegetables because of the war, and this caused poisoning and a few deaths too. However, it requires about 25 grams of pure oxalic acid to cause death, which means a person has to eat about 5 kg of Rhubarb leaves. But only a fraction of that can cause sickness. Eating these leaves on a regular basis causes too much oxalic acid in the urine which will result in bladder or kidney stones. Even cabbage, spinach, beet tops, potatoes and peas contain oxalic acid but in small quantities. The symptoms of oxalic acid poisoning include, weakness, burning in the mouth, burning in the throat, difficulty breathing, abdominal pain, vomiting, diarrhea, convulsions, coma and death from cardiovascular collapse. Even chocolate can be toxic to humans as it contains alkaloid theobromine; however, it takes an unholy amount to kill a person. However, dogs, cats, horses and parrots can be easily killed with the ingestion of chocolate. Although, you don’t have to go around assuming you are poisoned every time you feel unwell after eating one of these foods, it always helps to know what can be dangerous and stay away from foods that are highly poisonous. Most Important Technological Developments That Help Businesses! Definitely most of the fish are pretty dangerous if they are not well prepared or if they are old, would be very important to freeze it if it is not going to be consumed soon. On the other hand I love this pictures shown in here. I had a very small portion of rhubarb leave…just to taste about a week ago. And not sure why, but it is causing me nausia, dizziness, stomach upset, problem in throat and nose and loosing control on my mucsel specially in mouth. So never ever try to taste it. I didn’t realize it before reading side effects of this herb.